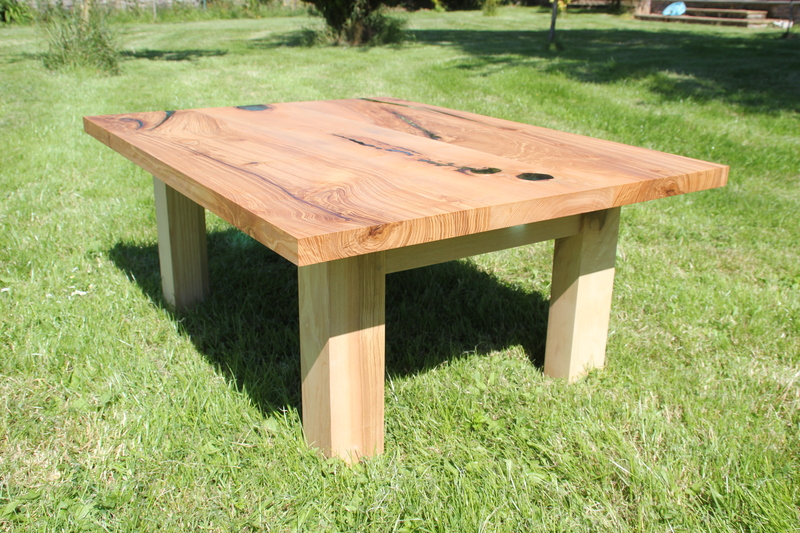 Welcome to our new range of contemporary designed coffee tables. 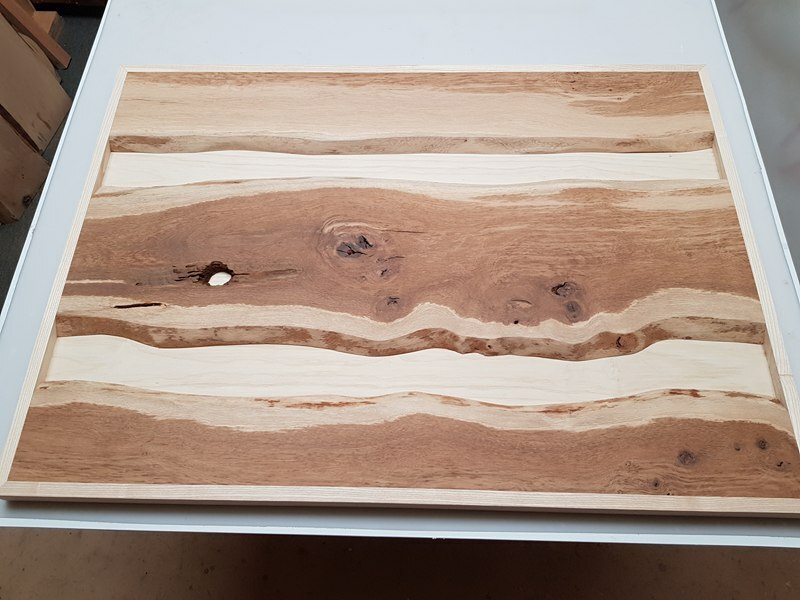 Below are some progress photos of table tops we are currently making, as well as some finished tables that are available for purchase. 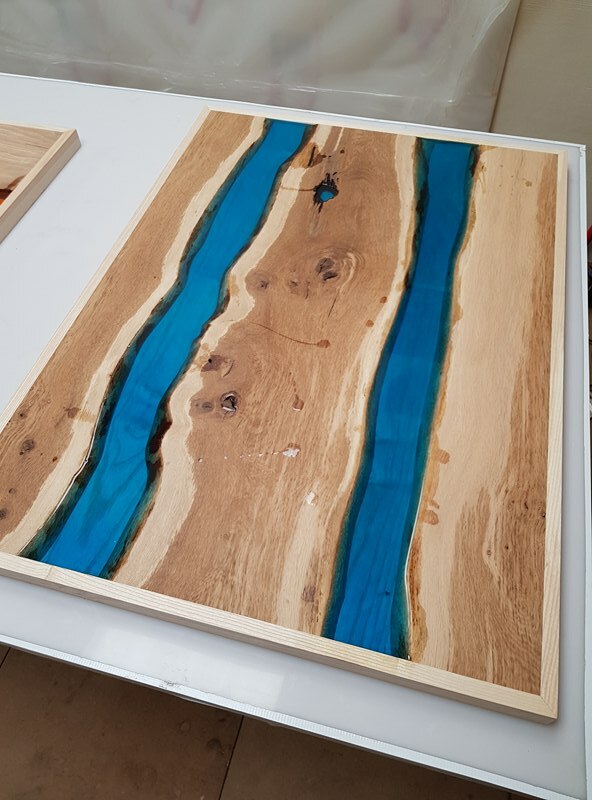 Our new selection of tables make use of different styles, sizes and types of wood, as well as colour variations due to the use of resin in our River Table Tops. 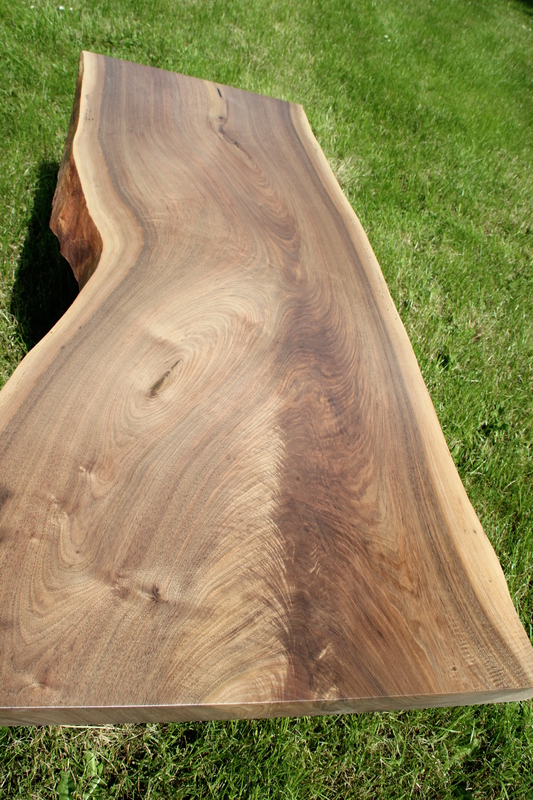 Brown Oak, Walnut, Poplar and Ash are just some of the woods we have made use of in our tables so far, though we are currently limited on supply and don’t intend to use certain woods again. 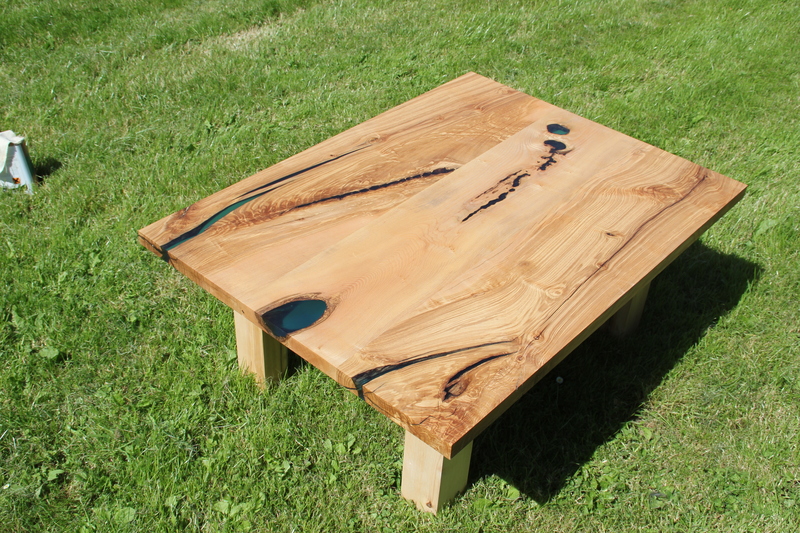 Don’t hesitate to Contact us with any questions or enquiries! 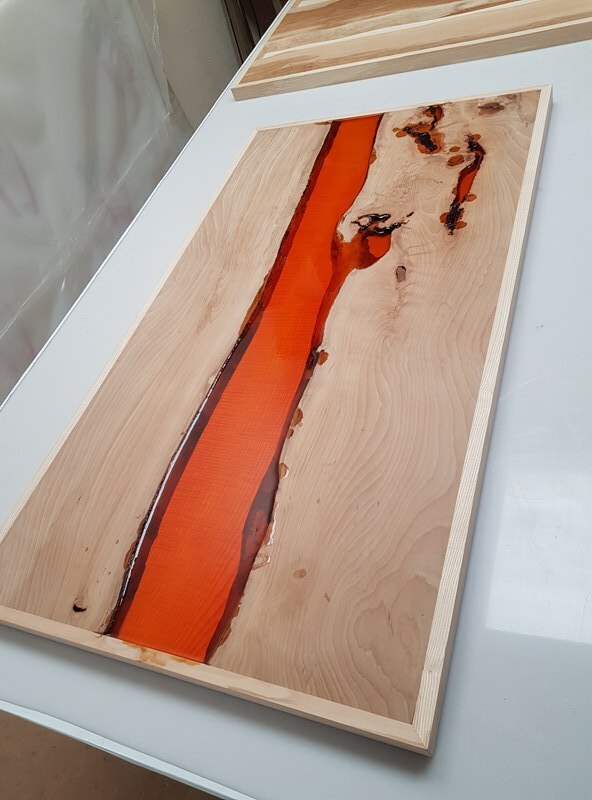 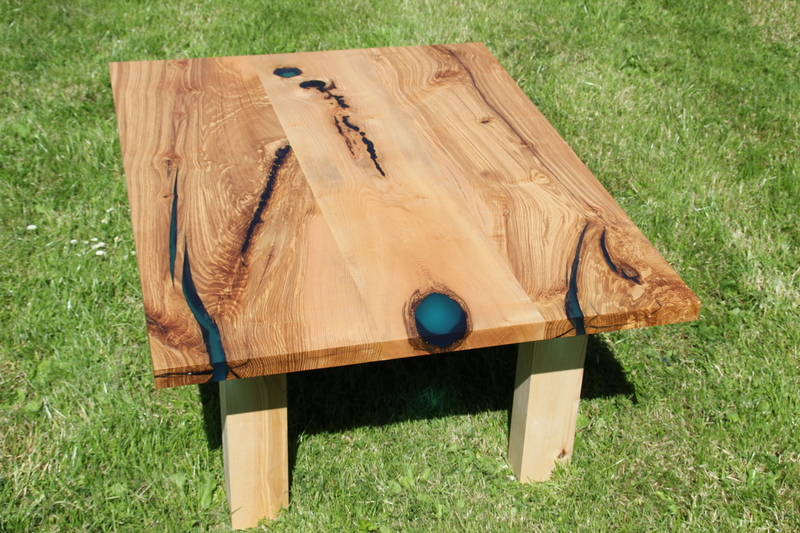 This wonderful Ash table top, with Ash base, is our first Resin table top available for purchase. 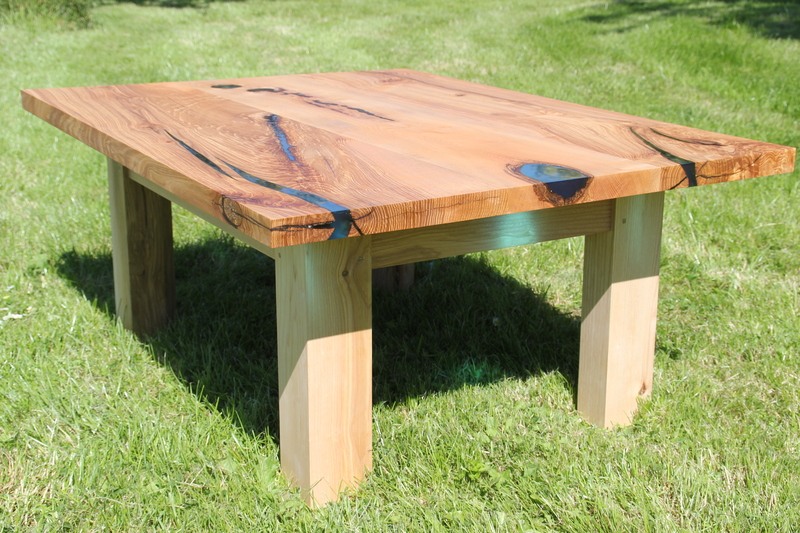 The table features a matte finished base with a blue and clear resin filled top, finished with Teak Oil. 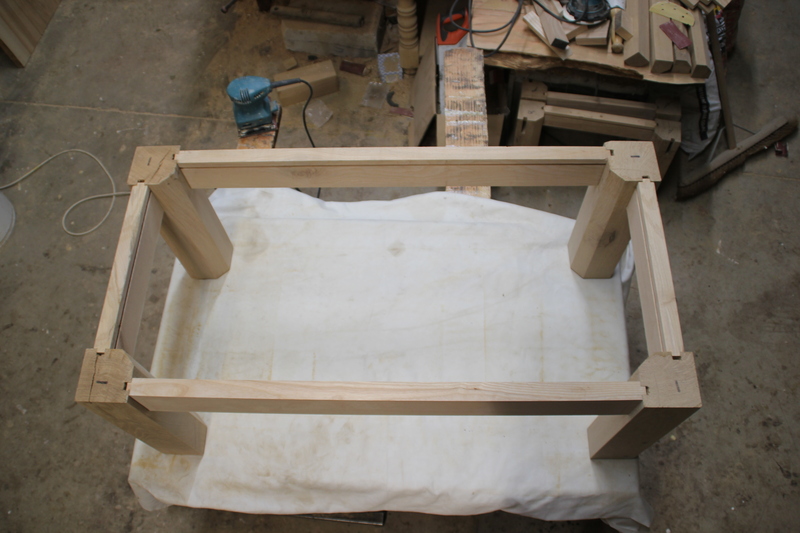 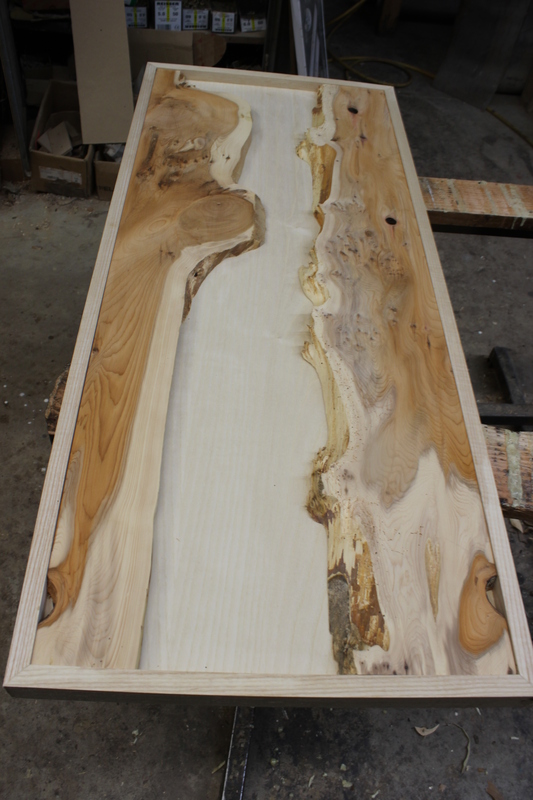 The table is 40 inches long and 30 inches wide. 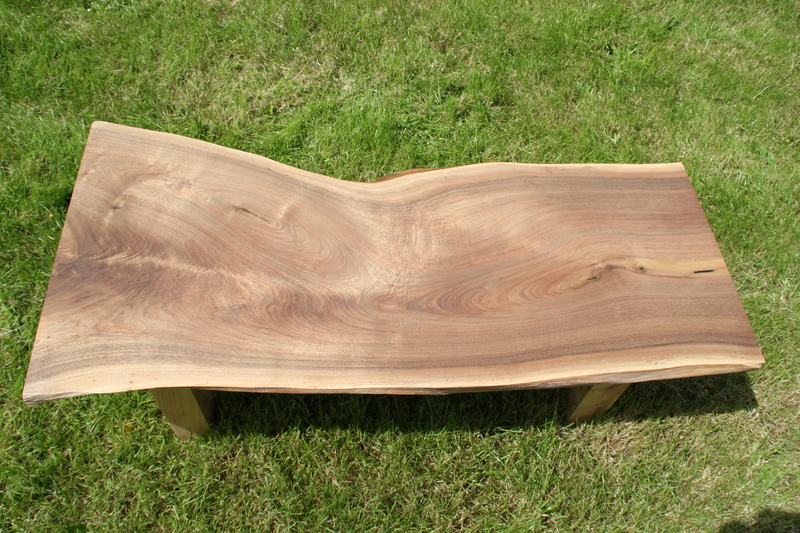 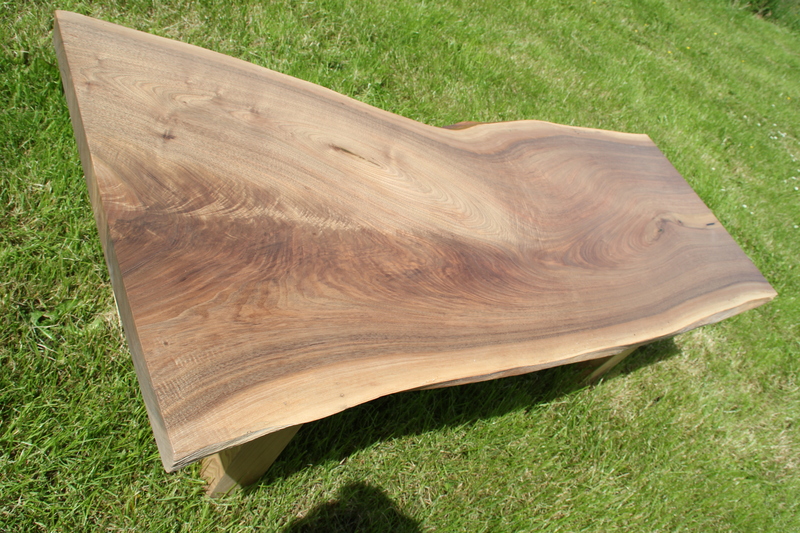 This is one of the two Walnut tables we currently have for sale. 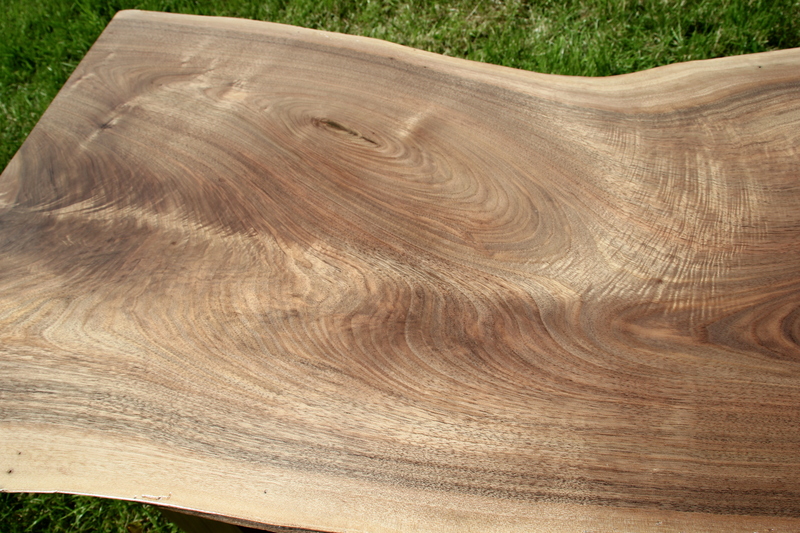 The table features an Ash Base with a live edge Walnut top, all finished in gloss. 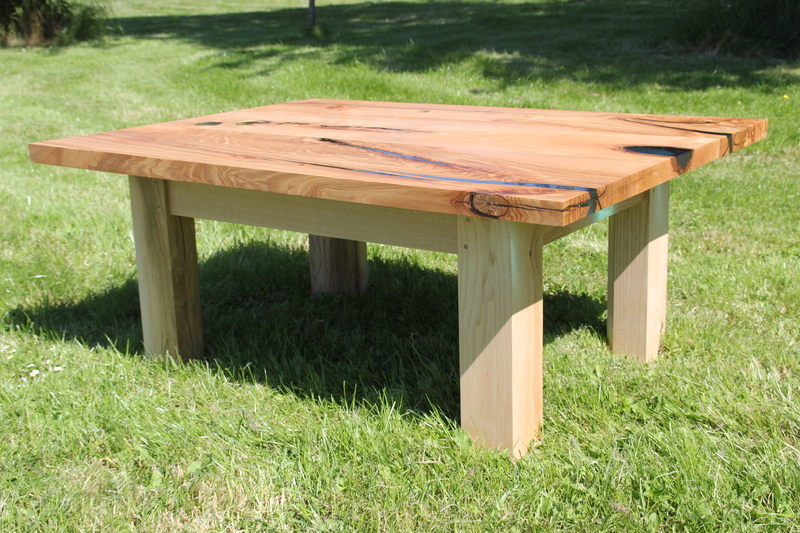 The table is 36½ inches long and 18 inches at its widest point. 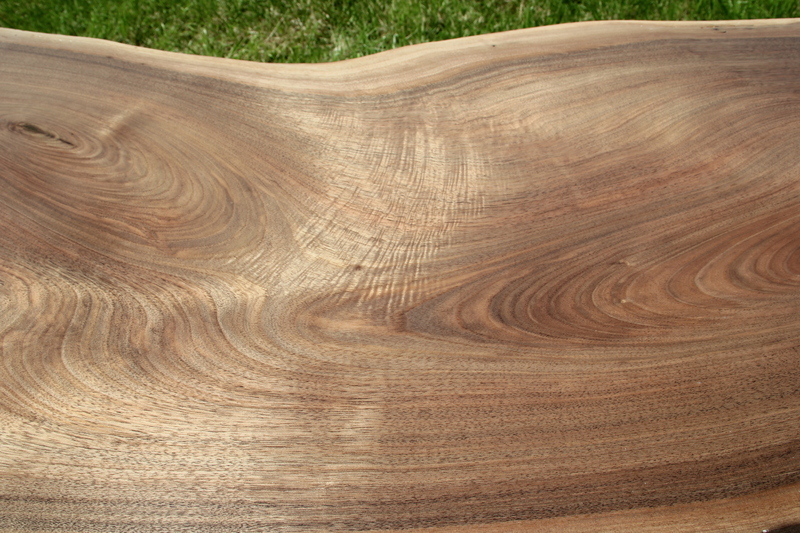 This is our second Walnut table, available for purchase. 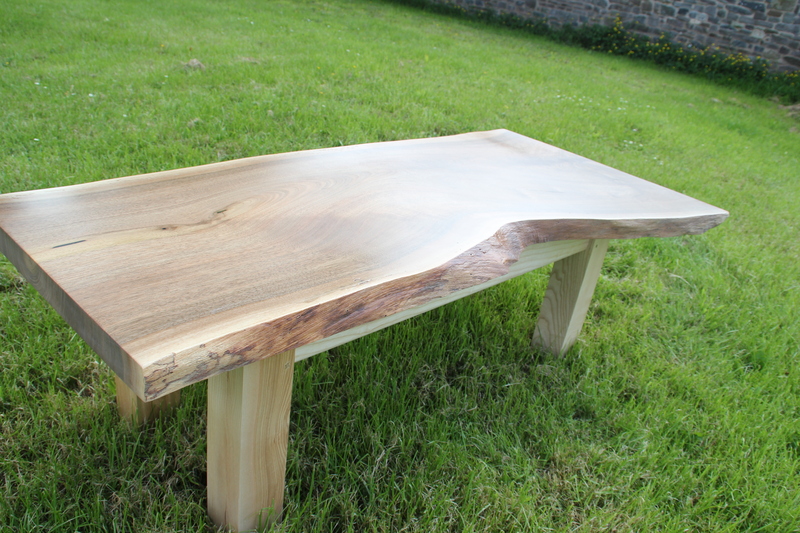 The table features an Ash Base with a live edge Walnut top, all finished in gloss. 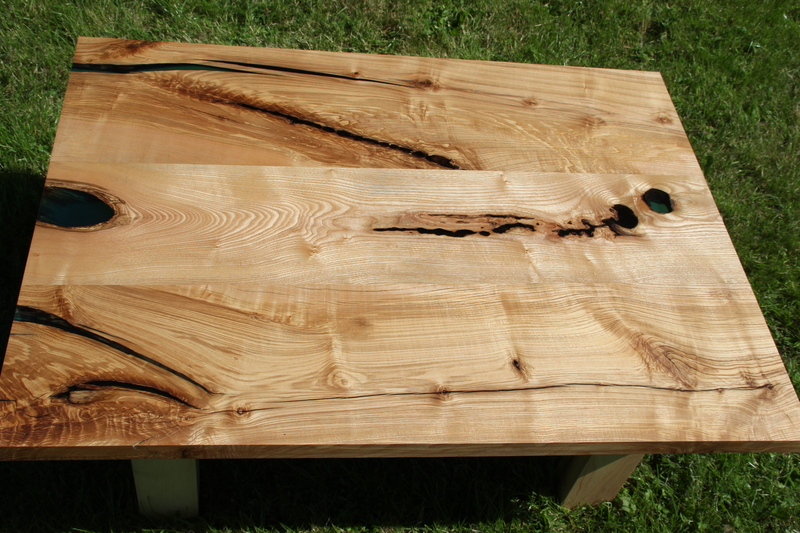 The table is approximately 48 inches long and 24 inches at its widest point. 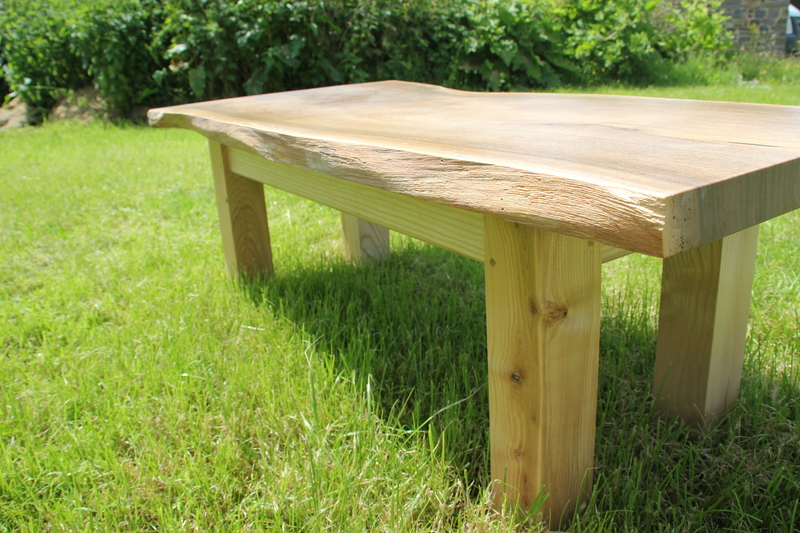 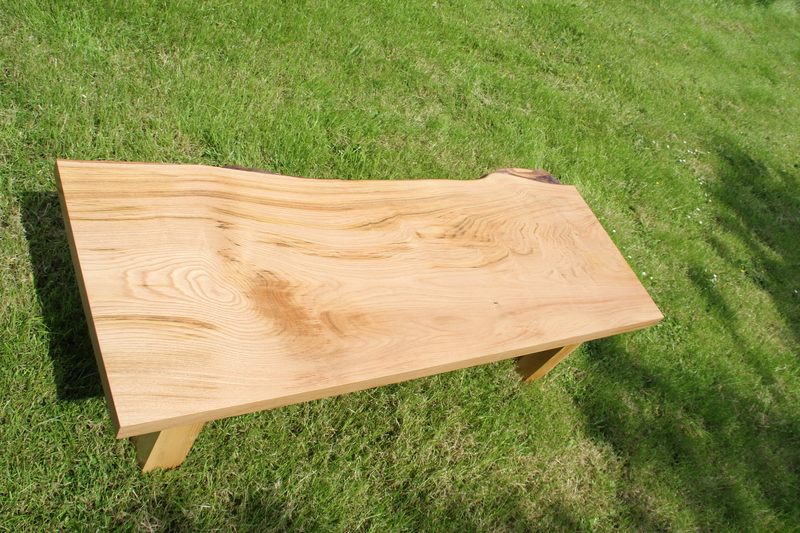 This marvellous table was made from a stray board of 2 inch Elm we found in the workshop. 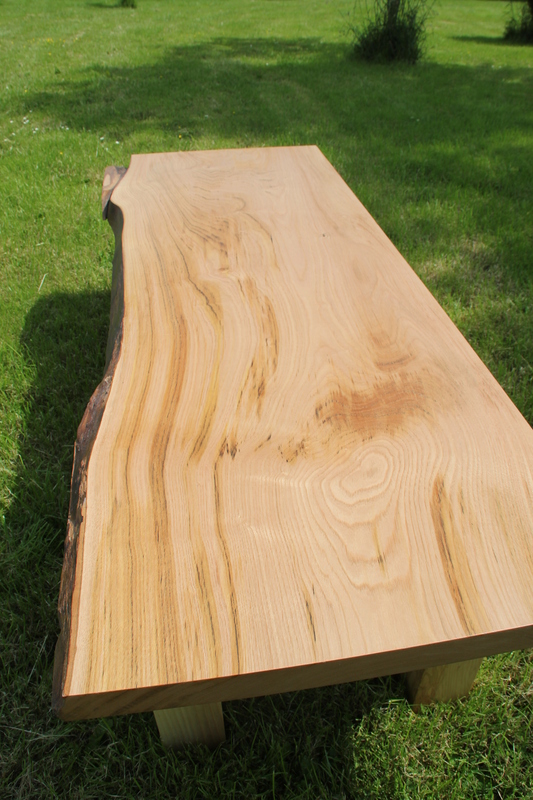 It’s a rare opportunity to purchase a table made from this timber as English Elm has become increasingly difficult to source. 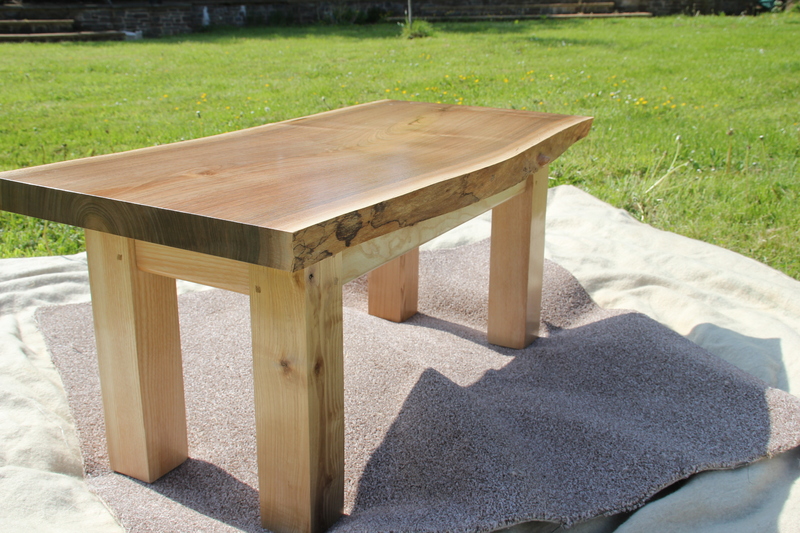 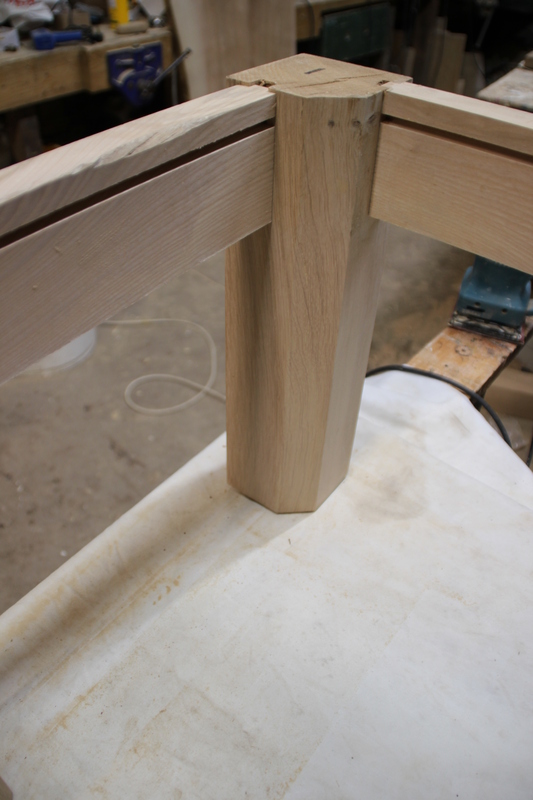 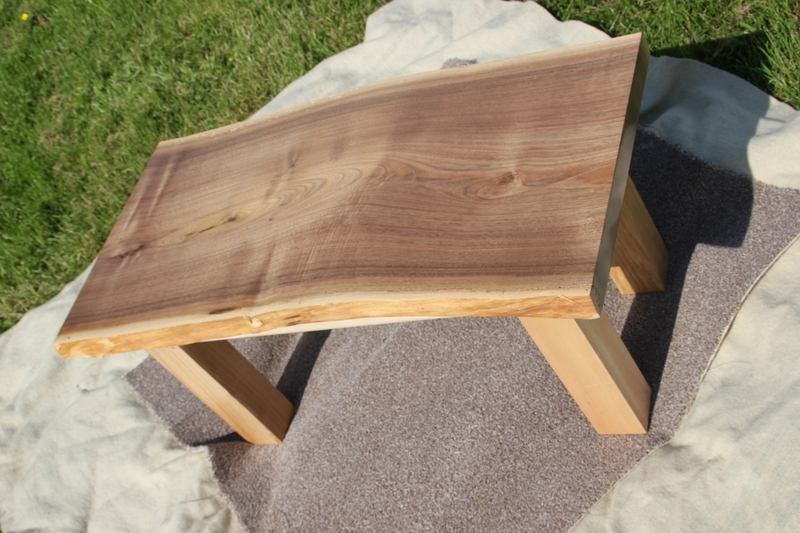 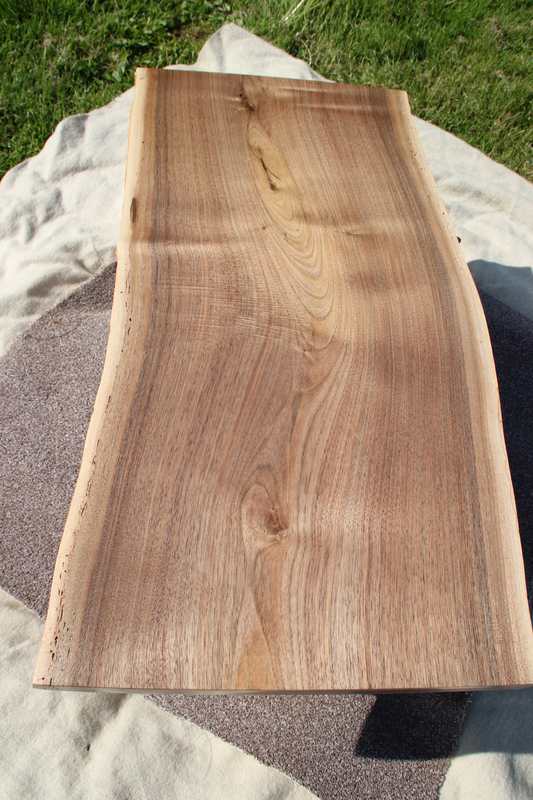 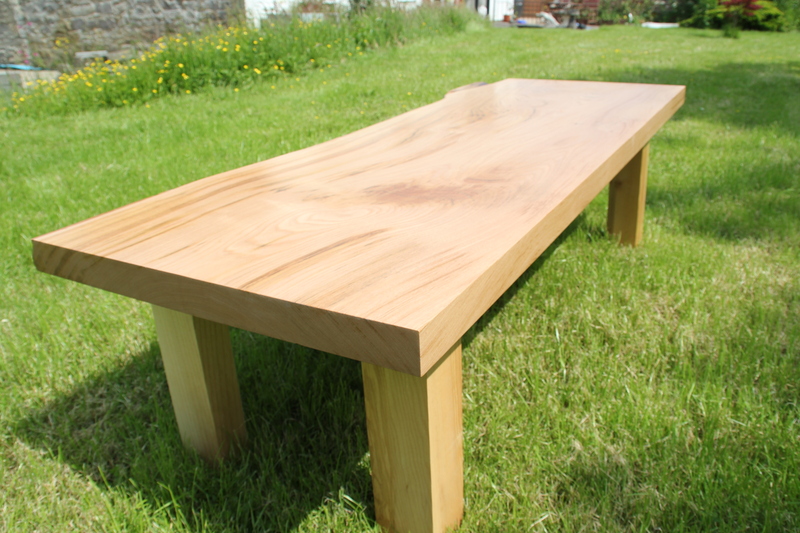 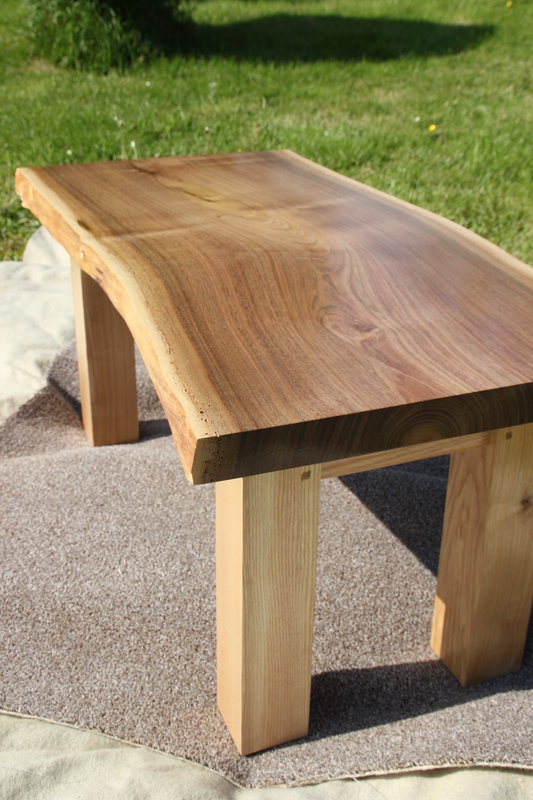 The table features an Ash Base with a live edge Elm top, all finished in natural gloss (waxed). 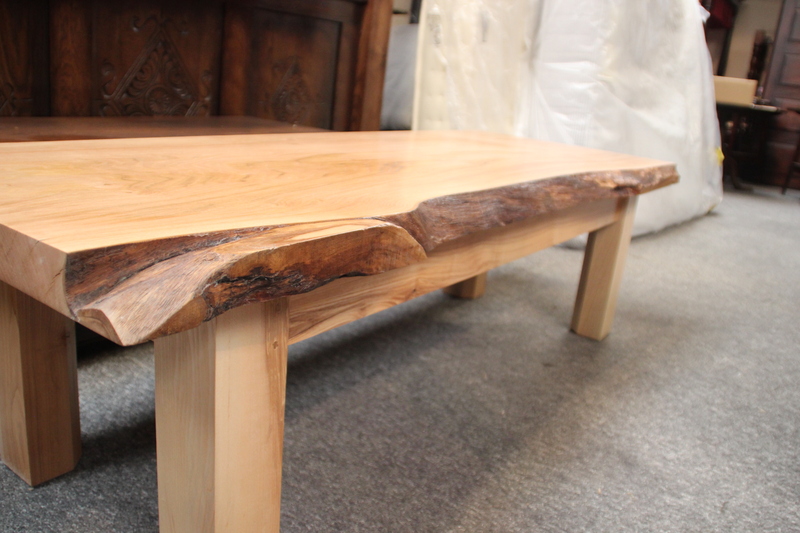 The table is approximately 60 inches long and 23 inches at its widest point. 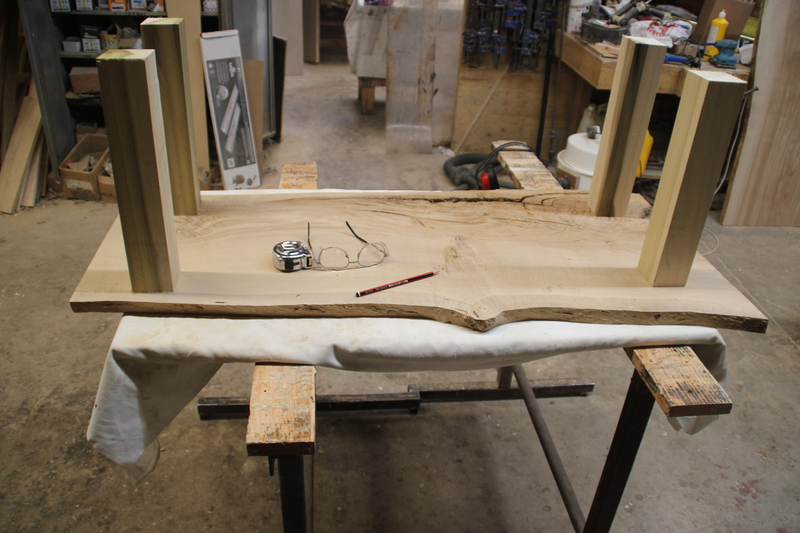 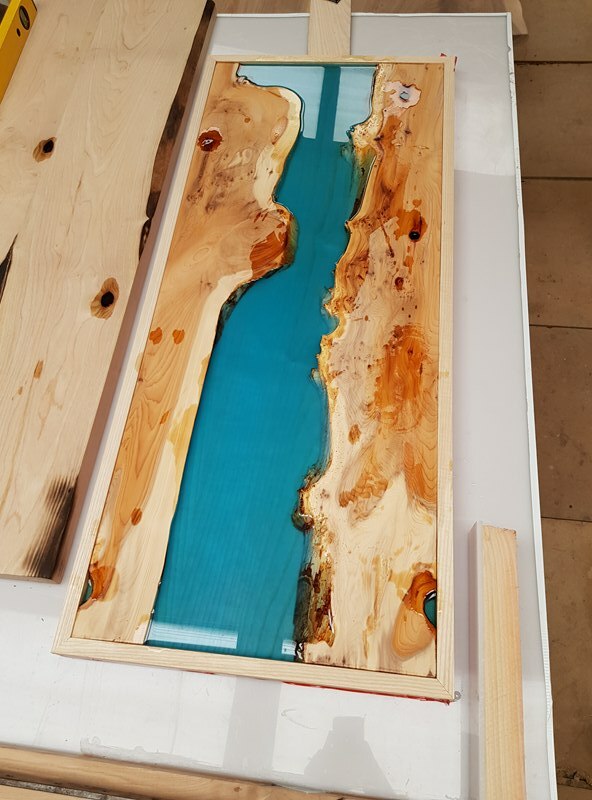 The pictures shown are some of the table tops that are currently being worked on, with before and after shots of the river tables. 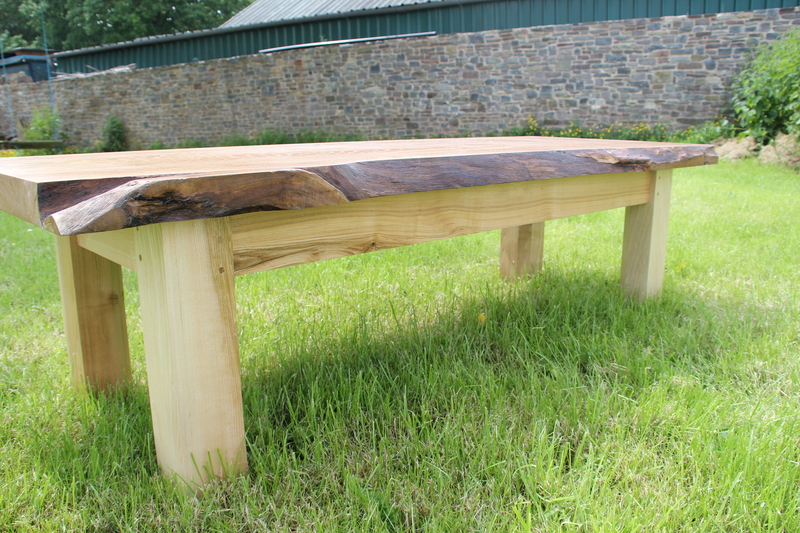 We currently don’t have any finished river tables available for sale, however, we will have some finished products and pictures ready to put up on our website soon!